We are enlisted amongst the reckoned names in the industry engaged in manufacturing, supplying wide range of Gun Drill Tools Resharpening Services . These products are widely acknowledged among the clients for immaculate quality and high strength. These moulds are used in various sectors owing to its exceptional features. The product is one of our complete customer oriented products. We make form tools on HSS / Carbide round tool as per the specific drawings provided by our esteemed clients. These can be availed from us at industry leading prices. We are providing Saw Sharpening Services to the prestigious customers. We render theses services as per the need and requirements of clients. We sharp the saw very carefully and provide utmost satisfaction to the clients. 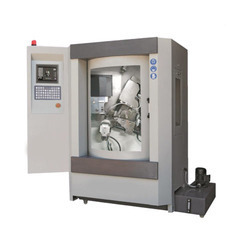 Our domain expertise allows us to provide a huge variety of quality-tested HSS End Mill Cutter. Because of our genuine business practice and forthright arrangements, we are steadily advancing toward the stage of growth by providing Bandsaw Blade Sharpening Service. By utilizing most modern machines & innovation, a group of hard-working experts renders these services. To meet greatest clients' fulfillment, our professionals’ first plan then complete it. Because of our genuine business practice and forthright arrangements, we are steadily advancing toward the stage of growth by providing Saw Blade Sharpening Service . By utilizing most modern machines & innovation, a group of hard-working experts renders these services. To meet greatest clients' fulfillment, our professionals first plan then complete it. We offer Hob Grinding & Sharpening Services. Its a complete echo system for customer to leverage on our created Technology Infrastructure. By doing so let customer to use his energy to becoming more on his core strength and let IT Infrastructure to be run by our TCT. We are providing reamers sharpening and tap sharpening. Our sound infrastructure and diligent team of experts ensure that the product is re-sharpened with great accuracy and efficiency. We re-sharp reamers by grinding entry chamber, cutting, gashing and OD grinding, as per the requirements. However, gashing of rake face, cutting and entry chamfer is used to re-sharp taps. 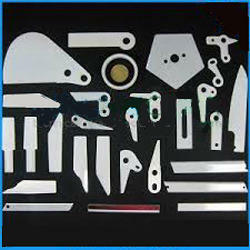 Sharpening dies are used for films (electronic components, etc.) and labels. Our sharpening dies feature high-precision cutting blades with no variation in thickness, which is achieved through machining after the etching process.